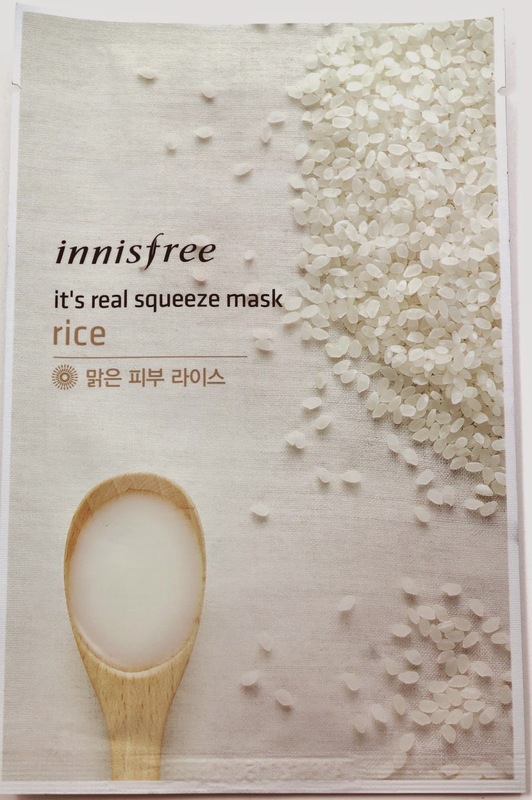 Innisfree is a well respected Korean skincare brand that makes quite a few very popular products, including sheet masks, toners, makeup remover, cosmetics, and other skincare products. 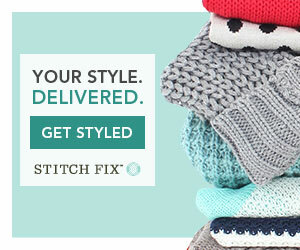 They do quite a few promos and send a lot of coupon codes when you sign up for their emails. Every once in a while, there's a promo too good to pass up! They recently had a promo for free shipping, and 20% off, as well as two for one makeup remover wipes. I stocked up! And wanted to review everything I purchased! Shipping - These products do come from Korea, so it can take a while to clear customs, and arrive to their final destination. My order shipped 2 days after I placed my order, and arrived in 18 days via USPS from Korea to California. Quick processing time, but the shipping portion can take a while. 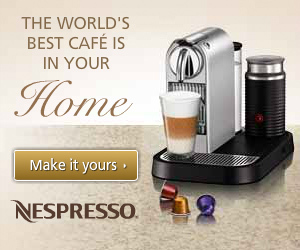 I ordered 4 of these, because they were buy one get one free. And for a 30 count makeup remover wipe, normally priced at $6, it wasn't bad. It meant I got each pack for about $3. I like this one, it smells like lemons and olives, very fresh. And I'm very happy to say the citrus aspect to it doesn't burn my eyes when removing eye makeup. I've tried other citrus scented wipes and they were awful on my eyes. It's not burn free, but tolerable. I really do like the smell of these. They are more of a long rectangle shape than almost a square like US makeup remover wipes. But I can easily remove a full face of makeup with one wipe. They have the right amount of product on them as well, not too wet, and not too dry. The product itself is a little oily, but that's like most makeup remover wipes. These were a little more expensive, $8 each, but with the deal they were only $4 each. And for 50 wipes, that is not bad at all. I wanted to try these as well to see how they compared to the olive ones. This is a much more subdued scent, not as strong. I don't really know how to describe it, but it's a very neutral scent. Perfect for people who don't like the smell of most other makeup remover wipes. 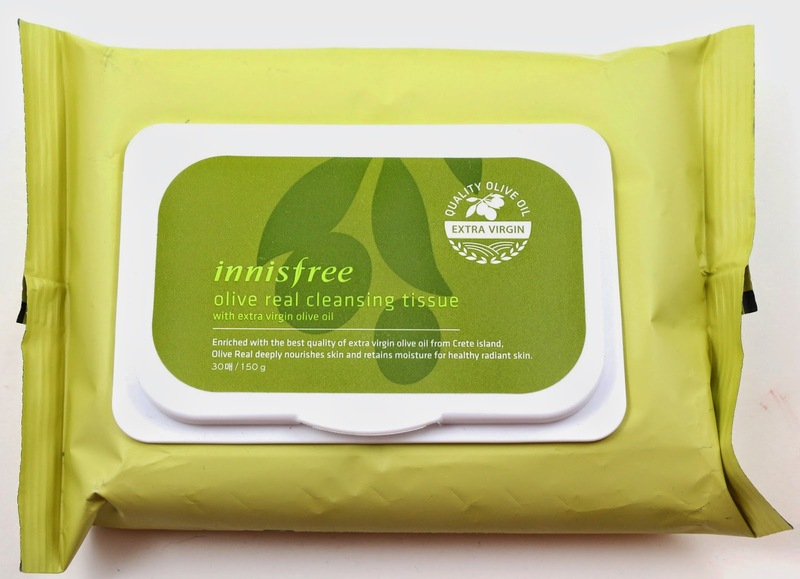 And they have the same size and texture as the olive ones, easily removes a full face of makeup with one wipe. I plan to use these and the olive ones for my face, and maybe a few packets for removing swatches. 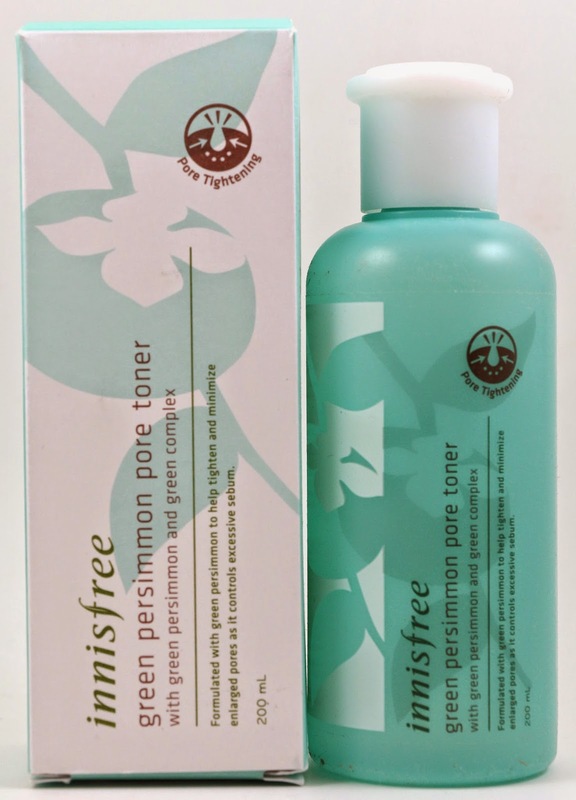 I wanted to get a toner from Innisfree, and finally decided on this one. I like most of the food themed toners I have, like broccoli, milk, and tomato. This one got good reviews, so I wanted to try it. It's a pretty large bottle, 200ml. This one is made for pore tightening, but also has a nice scent to it. 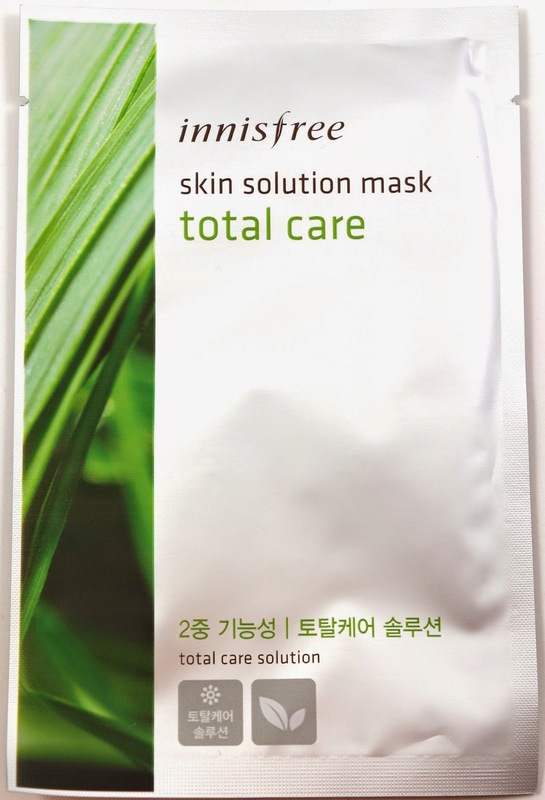 Innisfree has a lot of sample sized packets of many of their products, including several toners, but they don't offer this one as a sample. So I just decided to blind buy the full size. I haven't had a chance to really start using this bottle, but Korean toners are much more moisturizing than US toners are. Most US toners are very astringent, but Korean toners are made to add back moisture after cleansing, and prep the skin for the rest of the products in a skincare routine. 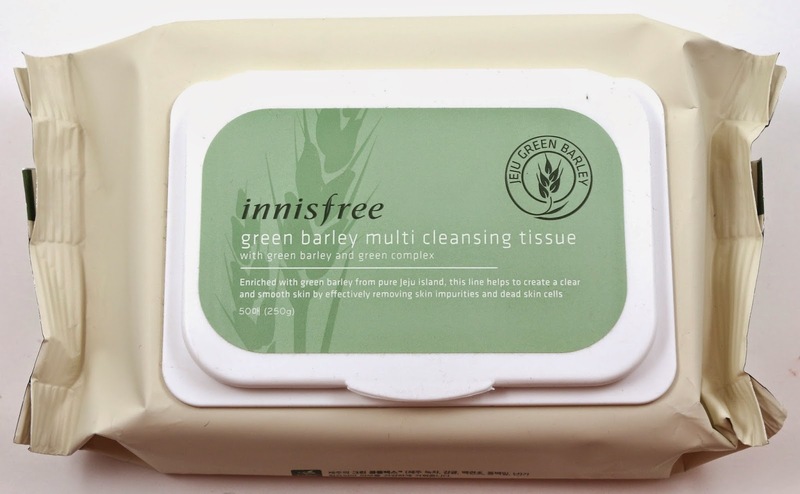 I wanted another chance to try a different kind of makeup remover from Innisfree, especially since this one sounded like it would smell good! This one is very similar to liquid makeup remover here, where you are supposed to shake it before using to combine the separated parts. And it does smell good, like fresh apples. I'll probably use this for removing swatches. This was sort of an impulse purchase, I wanted to try this blender product. It's supposed to be mixed with foundation at a ratio of 1:2 blender to foundation. And then applied to the face for a flawless finish. I had sort of thought this would be used more as a primer than mixed with my foundation, but we'll see how it works. I tried a bit on the back of my hand, and it's really opaque. You only need a tiny bit for full coverage, but it seemed a bit dark and yellow for my skin. I'll try mixing with my foundation, and maybe applying with a Beauty Blender, but it might work better for me as a primer, with my foundation over the top. It will definitely cover up almost anything, including my freckles. 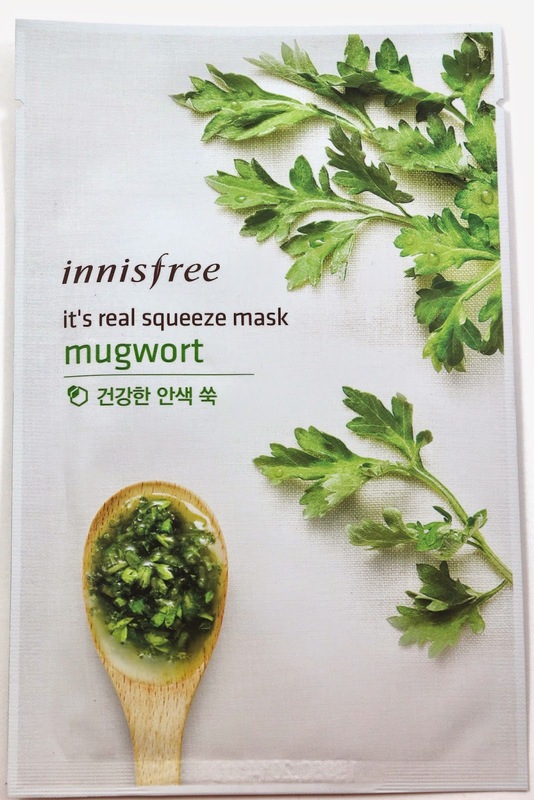 Then I wanted to grab a bunch of the It's Real Squeeze sheet masks, because I have loved the ones I've tried before. 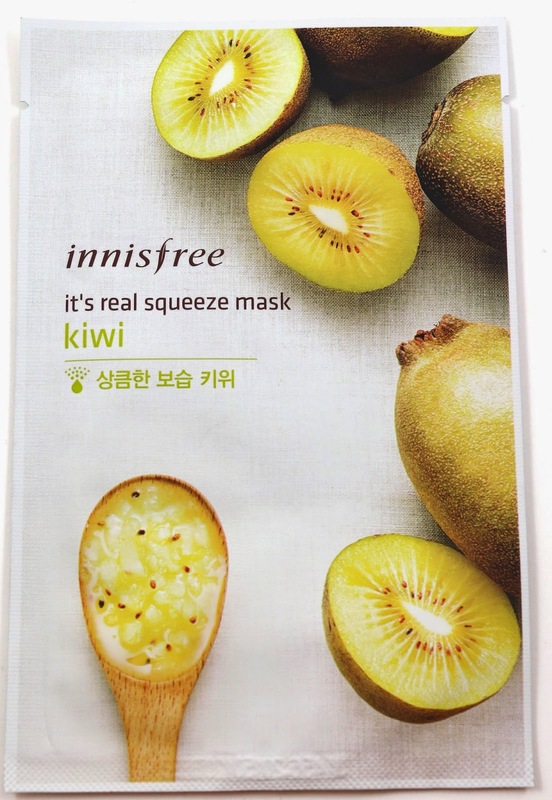 The kiwi mask had a lot of great reviews, so I grabbed one to try. Most sheet masks have areas or problems that they target, and this one is for moisturizing and clearing skin. I can always use that! I absolutely love honey sheet masks, it's the one ingredient that seems to do wonders for my skin. Honey sheet masks always make my face look awesome and so much less red after removing, that I stocked up on these. 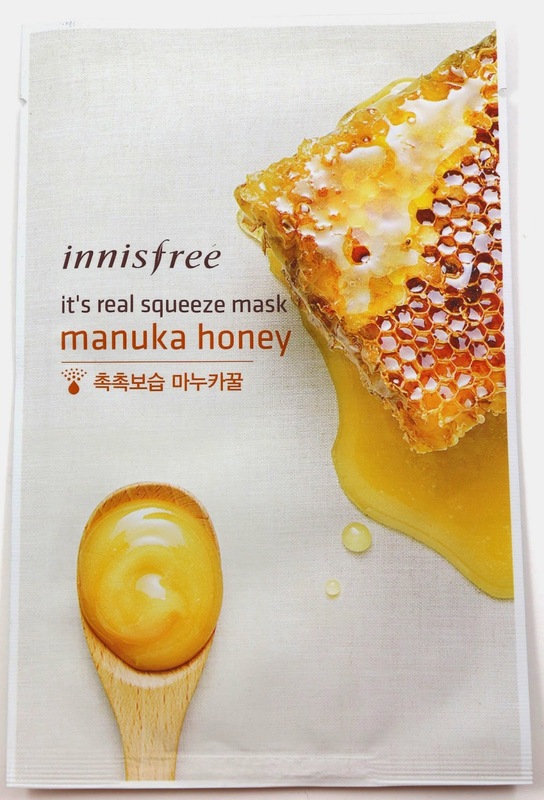 I really like these from Innisfree because they smell so good, but really any honey sheet mask seems to work well for me. I don't even see this mask on the site anymore, so I wonder if it was discontinued. This one is supposed to be for brightening. 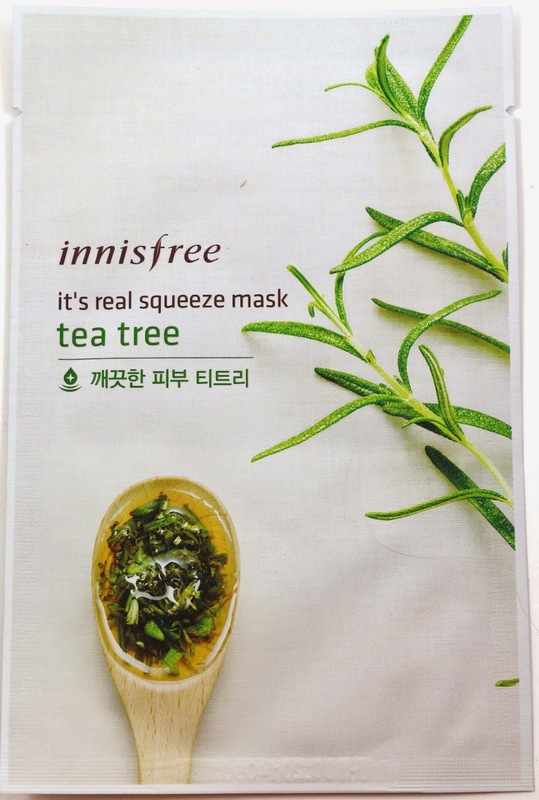 I love tea tree sheet masks, because tea tree is great for calming breakouts and reducing redness. It's an ingredient that doesn't agree with everyone, but it works well for people who aren't allergic. I stocked up on this one and grabbed 6 of them. I love how calm my skin looks after using this, especially when I've got breakouts of any kind. It reduces redness immediately after removing. This is another mask for moisturizing, which I can always use more of. Most people have really dry skin in the winter, but I also get dryness in the summer as well, since we have a very dry heat here. 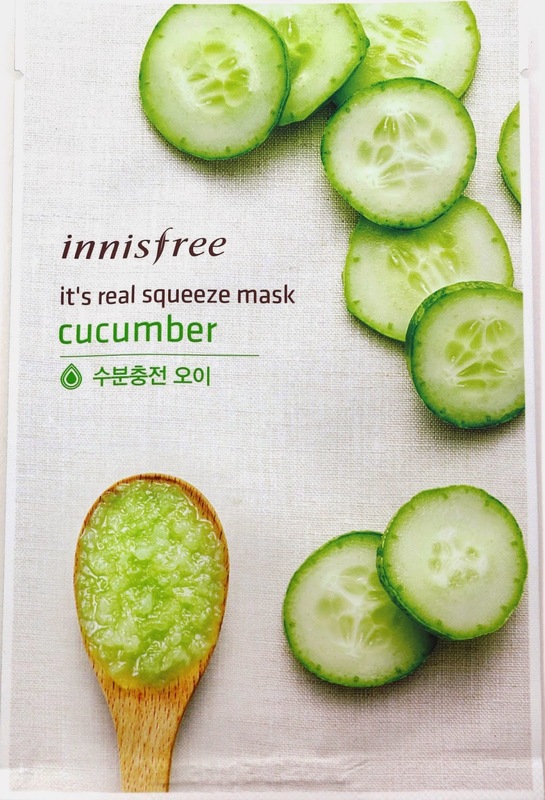 Another moisturizing mask, and I like the smell of cucumbers. Honestly, if all my skincare products smelled like food, I would be ok with that. This is another moisturizing mask, and I just happened to grab it because it was one I hadn't tried before. Shea butter is great in lotions, so why not a sheet mask! I think this one will be perfect for when you want a sheet mask, but not one with a strong scent. And I love rice, this one is also for moisturizing. 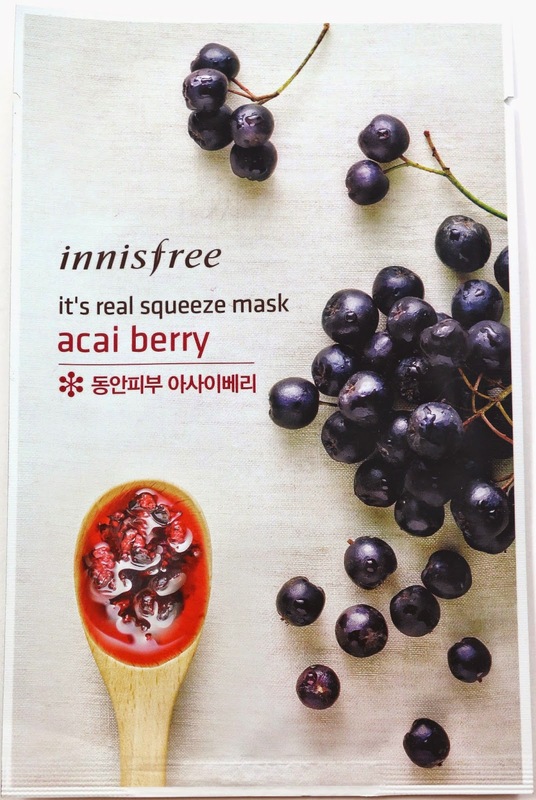 Acai berry is for smoother and younger skin. Sometimes I like a fruity sheet mask, so this will be perfect for that. Out of the skin solution masks, this one had the best reviews so I grabbed a few of them. This one is just supposed to be for all around health of your skin. I haven't had a chance to use this one yet, so I'm not sure how it will work for me, but I usually have good luck with well reviewed products. 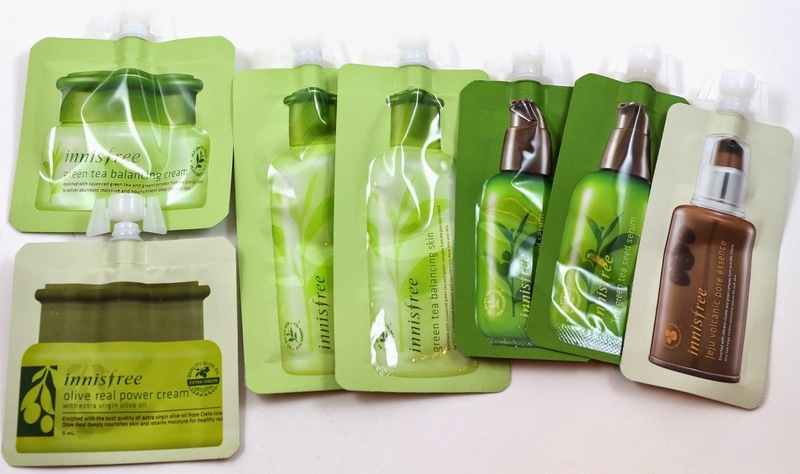 I just love how many samples I get from my Innisfree orders. 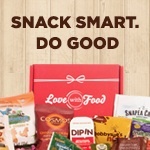 If you order so much you get four free samples of your choosing, and then after a certain amount you also get this sample pack set that you get to pick as well. Not pictured is the green tea sheet mask I also got from the pack. 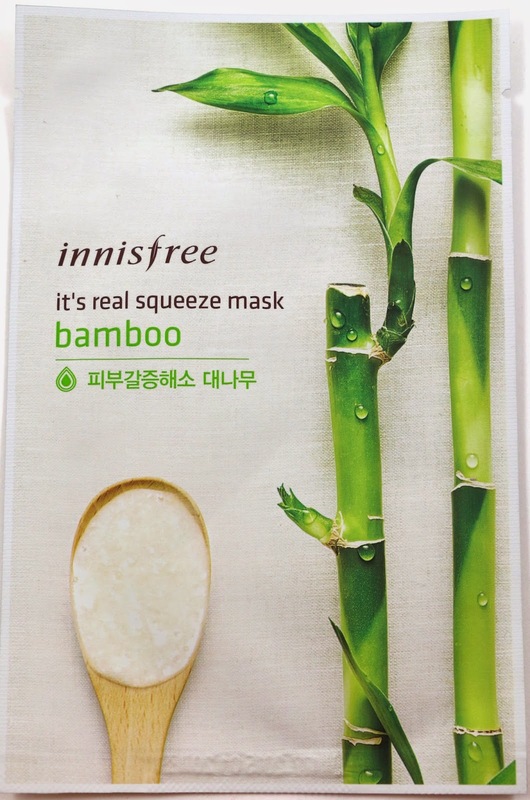 But it's a great chance to try lots of the Innisfree popular products. And their samples are resealable! Just rip off the cap, use, and reseal. It's so great for travel. I have a travel skincare bag that I just throw these into for visiting B. 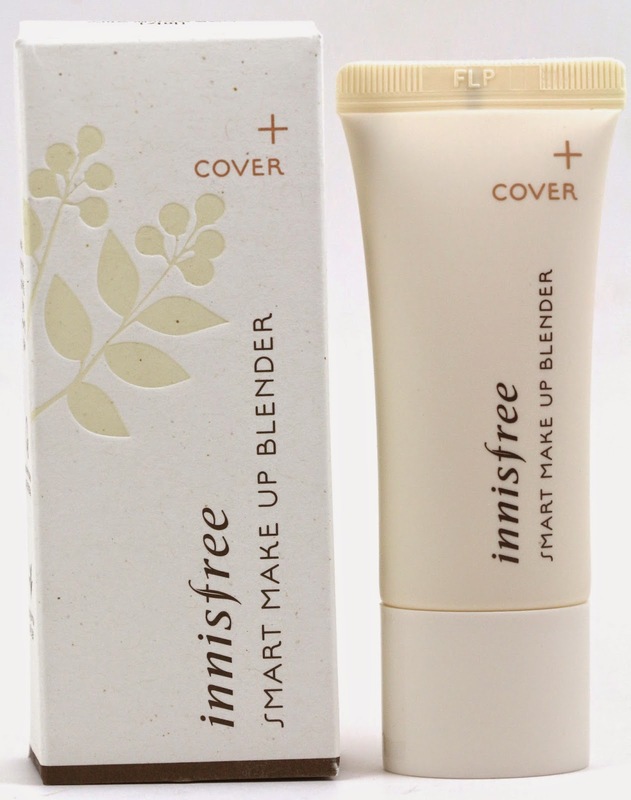 Overall, I really love Innisfree as a company. 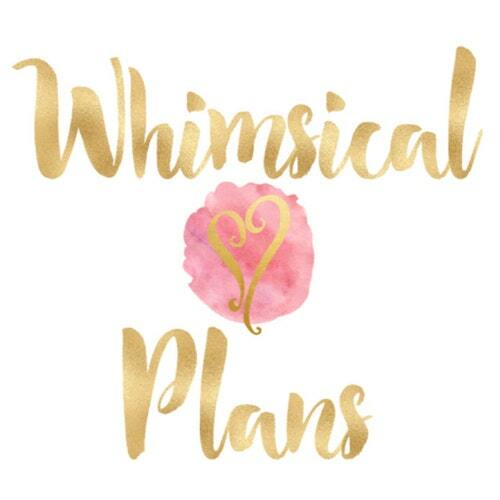 Everything is reasonably priced, and there are always lots of deals and coupons floating around to make it even less expensive. The products smell good, and work really well, which is very important. 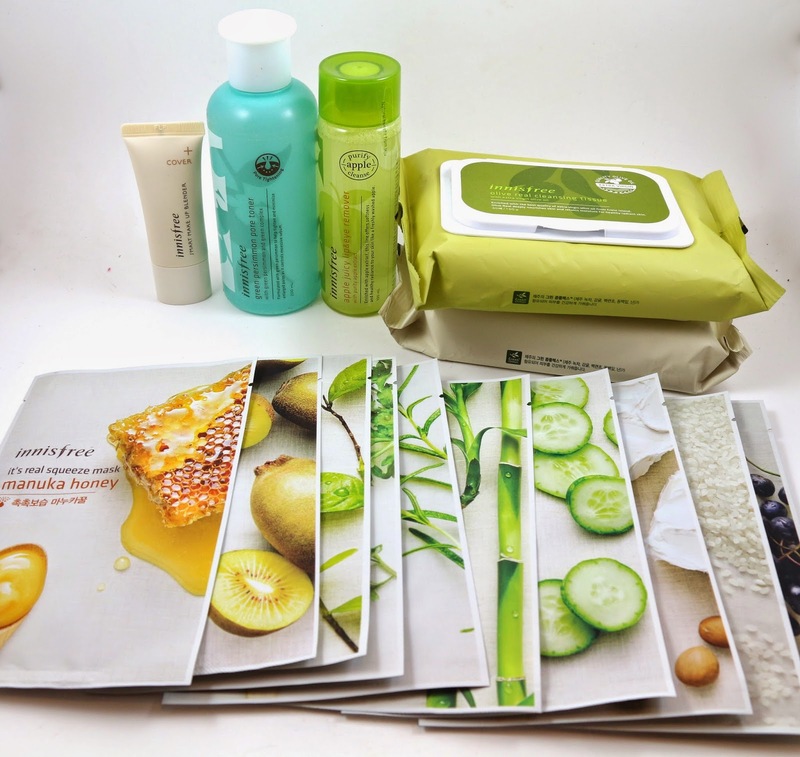 There are lots of samples included with your order, and their sheet masks are a great price. The makeup remover wipes were a surprise hit, if I ever run out, I will be ordering more. 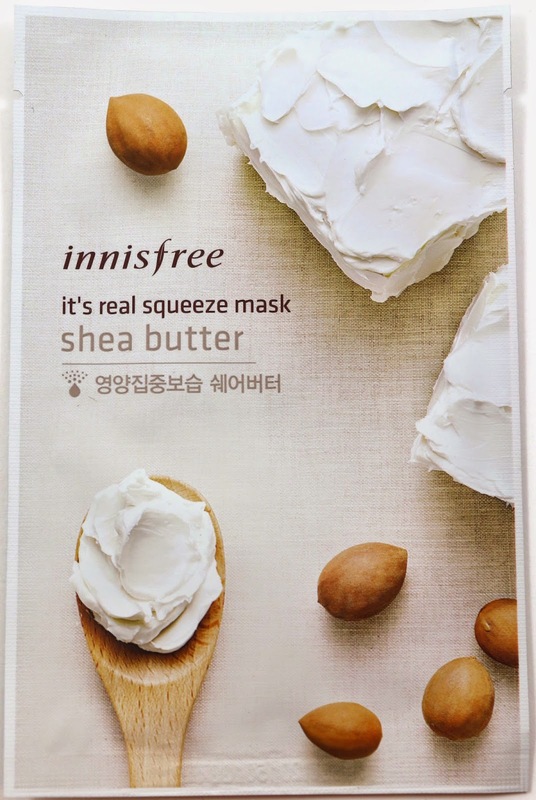 Innisfree makes the entry into Korean skincare very easy, so if you've been wanting to check it out, it's a great place to start.